A public survey launched last month by the Lynx UK Trust has returned a remarkable 91% in favour of a trial reintroduction of lynx to the UK, with 84% believing it should begin within the next 12 months. Almost seven weeks ago the Lynx UK Trust, a team of international wildlife and conservation experts, announced their hopes to carry out a trial reintroduction of Eurasian lynx to the UK. 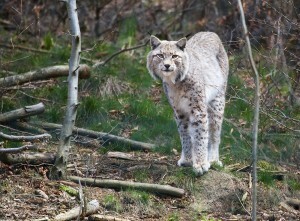 Wiped out in the UK over 1,300 years ago by fur hunters, lynx have been successfully reintroduced across Europe, and the team hope that reintroduction here will provide a valuable natural control on the UK’s overpopulated deer species, leading to forest regeneration and a boost to the entire ecosystem. A public survey by the Trust, carried out with support from the University of Cumbria, was launched with the news and the results, released by the Trust today, reveal a huge weight of public support behind the reintroduction. Over 9,000 people took part in the survey, with 91% supporting a trial reintroduction and 84% believing it should begin within the next 12 months. “We’ve been blown away by the level of interest and support from the public.” comments chief scientific advisor to the project, Dr Paul O’Donoghue, “This is by far the biggest survey of its kind ever carried out in the UK, with almost five times the feedback of the original beaver reintroduction survey in Scotland which recorded an 86% approval rating. That led to government approval for the trial reintroduction, so we’re expecting to see a consistent response from Scottish Natural Heritage and hope for similar in England and Wales. The UK public have spoken; people overwhelmingly want these animals to be given the chance to come back and we’ve got an extremely capable team to deliver it. Encouragingly, over half of the people who filled in the survey were from rural communities, returning a level of support only 5-6% lower than urban communities, showing that this project has considerable support from people who live and work in the UK countryside. 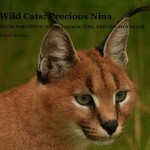 A further survey was commissioned following traditional opinion polling techniques canvassing just over 1,000 people representatively spread across age and social demographics which recorded support levels of up to 70% for lynx reintroduction. 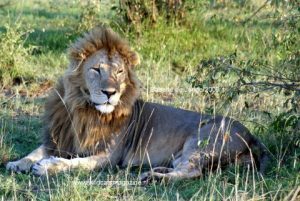 Buoyed by the results, the Trust are continuing public consultation and education activities, and preparing formal applications for trial reintroductions at sites across the UK with one of the world’s largest law firms, Clifford Chance. Applications to Natural England and Scottish Natural Heritage are expected to be completed by summer for sites in Norfolk, Cumbria, Northumberland and Aberdeenshire, with the Trust still evaluating potential release sites in Wales. Up to six lynx would be released at each site and closely monitored via satellite collars over a trial period likely to last for 3-5 years.